I have been working on it, with what one might call interruptions, for fifteen years. And I am now on the home stretch. TOM S. writes: "I'm glad the Seattle thugs failed. They are a nasty bunch and deserve whatever punishment they receive. I will attend future events in that neck of the woods. Texas would be easier, but I think it is more important to provide security for Portland and/or Seattle." I confirm: "Seattle was nasty. The time is approaching to lay an ambush. . ., with a bunch of strong young men of our own, waiting for them to come in." Hugo H-T is in Berlin. I have to correct him about my surgery in January: "If it were private it would have cost me ten thousand pounds. It was done on the National Health Service in a private clinic, and cost me four pounds (for five days' newspapers)." He retorts: "That's only because you're famous." I comment at once: "Being famous didn't stop J. abandoning me for a paunchy Australian. She thought he was rich. He opened his wallet briefly and she toppled in. Go back to bed. It is 8:55 p.m here. Snow is expected Friday between here and my next stop over the mountains in Coeur d'Alene, which is a worry." He asks: "What's the time where you are, and how far are you behind German time? It's still dark here but the clock has stopped (apparently it's my job to wind it, as I am told only after it has stopped. . . Hope your journey will not be affected by the snow." "That is a major concern. If they close the mountain passes, that would wipe out two or three more meetings, even if I detour far to the south." UP AT 7:20 a.m., and I see snow flakes drifting down outside. I am not normally a pessimist, but this is what the forecast said, and things may get difficult over the next two or three days. You have not yet acknowledged or responded to our Letter of Claim. We give you notice herewith that we shall also today lodge a complaint with the Better Business Bureau of Portland, Oregon, about your unprecedented violation of our contract. As an hotelier, you are aware that you were also under a legal obligation to offer alternative accommodation for our meeting elsewhere, which you failed to do. We await your response before the close of business today, in the absence of which the further steps will automatically follow without further notice to yourselves. In the evening I go as usual for the fourth time to the Sunset Café here in Cle Elum for supper. The first meal I had here was excellent, but der Schein trügt. Every meal since then has been worse than ho-hum. This evening, I order their "saloon steak" special, marinated for forty-eight hours, etc., etc; it is uncuttable and inedible. I chew and chew for ten minutes on the first hunk, then spit it out. "Everything okay Sir?" chimes the waitress, uninterested. "The potato is okay," I say pointedly, and she wanders away. Back at the room I print the remaining 160 letters of this tour. The stay here has revived me. I am concerned about my second daughter Pilar, in Madrid. Her mother reports: "I speak to her several times a day and to her doctors. I'm sure she will do well, it has been a long big battle which I do no not wish to my worst enemy and we all deserve to recover one day from this fatal dream; well half is done, thanks to God and all the efforts we all have done, I also visit her." I reply: "We just have to hope." I DRIVE on to Coeur d'Alene, arriving about four p.m. The last hour I am driving -- cautiously -- into falling fluffy snowflakes, into a Christmas landscape of conifers and snowscapes. It is three degrees below zero C when I arrive, although it's only about 2,000 feet up. I arrive in a mess . . . and I strip naked in the hotel guest laundry upstairs and throw everything in the tub. It is all dry just in time, by six p.m.
6:30 p.m. A big meeting, lots of guests arrive, several bringing friends, and many from Canada. Dave K., who phoned only two hours before the meeting and then registered at my insistence, and whom I was planning to refuse, has come, as he has come with friends. All's well that ends well -- no disturbances, though I took the club in with me. I did notice one guy in my audience packing a revolver. Worrying about Jessica, I go to bed around 1:30 a.m.
Larry M. says: "Barnes & Noble are giving away your books for free for use on the Nook, their Kindle. . . There are several titles, including German titles." I'm glad that I finally had the opportunity to see you and hear you speak last Sunday. . . I wasn't going to mention certain things, not knowing your opinion, until I read your latest update. Here in Washington it's called a Concealed Pistol License. Many people have them. . . You might recall a young man standing behind you, back to the wall. That was my son. I had given him two orders: 1. Protect Mr. Irving. 2. If I go down, fire into the mob until the pistol goes "click, click, click". I'm a retired infantryman, Mr. Irving. I take my personal security, and the safety of others, seriously. 8:39 a.m "I would have cracked a few bones of them with my club before they got at me. We had a very big and peaceful meeting here in Coeur d'Alene last night." SOMEBODY writes, unidentified: "I finally found out who is J. 's replacement. It seems that it is not the Piranha." 10:31 a.m I reply: "That [link] is the Piranha. She was actually on my payroll before J." etc.] Each to his own, I suppose?" At midday I take the truck to have its oil changed, and buy envelopes and stuff. Text exchange with Bente, "that Danish stunner," about Jessica [our daughter, now at university]. All very worrying. I email to G. in Peru: "It is very cold here in Idaho, minus 5 grados, and snow everywhere and ice. I am looking forward to Key West." Supper with McP. at my invitation. He is a good friend. He drives back north to Calgary tomorrow. Reading your Radical's Diary the morning, I see that you had to request scribd.com to remove a stolen pdf of Hitler's War from their website (Wed., Oct 24 entry). Assuming this is it, and that you know of it, your book still is on the Scribd.com site. I thank him: "Thanks Ron, all taken note of. I do not know what to do about Scribd.com's thieving. It is run by, guess what, a Jew." Long drive ahead today to Billings in Montana, much snow. Below zero here. I cross a time zone this morning, after I start off from here, Coeur d'Alene. Not much news from you. Can't you go online? That's just dandy. I mail the remaining 160 letters for the last three cities of this tour. Set out around 11:30 a.m. for the East. Stopped at 2:25 p.m. local time 3:25 p.m for emails. I DRIVE four or five hours until it gets too dark and dangerous to continue; the snow ploughs are out, the salt spreading is limited to only the first lane and then after a while to only half the width of that. I switch over to four-wheel drive as I park at a motel in Butte. G. in Peru sends a photo. I have stopped for the night in Butte as it is 20 degrees below zero C and the Interstate through the mountains was becoming very icy and dangerous. HIGH altitude. Very, in fact bitterly, cold outside. Snowploughs out. I have driven 8,800 miles so far on this trip. I set off at 10:20 a.m., pause at Bozeman to check emails. Several texts from Bente, reporting that there is now cash in our Barclays account; I tell her to stock up the NatWest card. As I drive on, powdered snow drifts across the highway, very beautiful, like cross-torrents of fast-moving white water flowing just a few inches above the surface. My camera is too cold to work. Batteries not strong enough in the cold. Not a Black face to be seen in Montana. Just white everywhere, mountains, prairies, highways. Fortunately the four-wheel drive comes into its own in parking lots and on the unswept roads. G. replies from Peru: "Okay, if you don't trust me, what can I do." An inspiring drive across endless prairies bounded by snow-capped mountains, the road rising to 6,700 feet then down to around 4,500. Everything inside the car, including the camera, has frozen overnight. There are one or two miles between cars on this splendid east-west highway, I-90. AT two p.m. I arrive at the Hilton Garden Inn in Billings, and get what they call a suite but isn't -- it's an extended series of spaces with no internal doors. Last time I shall stay at this Garden Inn. I tell them, "A Motel 6 provides the same, at one-fifth of the price." They give me a voucher for a free drink at the bar, and I slide it back to them. I don't drink. I'll leave that to the paunchy Aussies. I have a few guests signed up for here, Billings, and just one guest is scheduled for Bismarck in two days' time. Barnes & Noble belatedly reply to my complaint: "With respect to your DMA [Digital Millennium Act] take-down notice below, you provided BN with a URL, which include some variation on the name "David Irving". For Barnes & Noble to take action on your request, you will need to provide specific URL's for each alleged infringing listing." The above is a totally unsatisfactory reply. You are marketing my books without my permission, and they are my copyright works. Even if you charge nothing for them, they are the product of thirty or forty years' research, they are still in print, and you are making commercial use of them. Why are you asking me to spend hours of my time correcting your infringement? On your answer will depend whether I take legal action in the US or UK courts. I have a headache for the first time in a year; caused, I suspect, by inadequate eating and the bitter cold. SOMEBODY phones at 6:25 a.m. from a Butte (Montana) number. Twice. I do not answer. I text to Bente, "It's twenty years to the day since I was deported from Canada. Time flies. You were in Key West. You have not changed since then. Leaving Billings in three hours." My German lawyer informs me that in violation of European freedom-of-movement laws a German court has fined me '70 days' in absentia -- that is Tagessätze in their weird vernacular -- for my two-day visit to northern Germany with J. in June 2010, to research privately-held Himmler files. That is a fine of ten thousand dollars or more. It is the first I have heard of any court case. I was not even served with a summons or Strafbefehl. Crazier and crazier. Welcome to the New Europe. Wie bewerten Sie den Richterspruch? (Ist er schon rechtskräftig, oder kann das Urteil wieder aufgehoben werden?) -- Ist bedingt begrüßenswert. Ich war baß erstaunt, denn bisher haben die deutschen Gerichte mich nur diffamiert. Aber diesmal gab es die europäischen Gesetze, und die Richterin war angesichts dieser neuen Lage machtlos. Innerhalb der deutschen Gesetze hat sich wenig geändert. So dürfte SFR meine Rommelbiographie zugegebenerweise ausschlachten, das Ergebnis einer 30jährigen Forschungsarbeit, und mir kein Pfennig für die Rechte zahlen; der Richter im OLG Stuttgart entschied, daß mir die Urheberrechte an meiner eigenen Rommelbiographie gar nicht zustehen. Werden Sie nach Deutschland kommen? -- Jawohl, das ist klar, gleich am ersten Tag denn drei Tage später werde ich 75jährig und es gibt einiges zu feiern. Wenn ja, was werden Sie machen? -- Wie immer, die reine Wahrheit über den II. Weltkrieg schreiben, -- anders als die deutsche Historikerschaft. Allerdings: Mein Kieler Anwalt informiert mich vor wenigen Tage that in violation of European freedom-of-movement laws a German court has fined me (Strafbefehl) in absentia 70 Tagessätze for my two-day visit to northern Germany with J. in June 2010, to research privately-held Himmler files beim seitdem verstorbenen Historiker Fritz Tobias und Gerd Heidemann. It is the first I have heard of any court case. I was not even served with a summons or Strafbefehl. Crazier and crazier, welcome to the New Europe." Übrigens, heute jährt sich zum 20. mal meine Abschiebung aus Kanada auf Befehl des kanadischen Judentums. Diese wurde wiederum begründet auf das infame deutsche Urteil vom 1991. Die kanadische Abschiebung hatte zur Folge ein darausfolgender Einreiseverbot in sämtliche andere Commonwealth Länder; ich darf nicht einmal meine eigene 4. Tochter in Australien und ihre Kinder besuchen. Please be advised that Barnes & Noble is a retailer and we believe will therefore not have any liability in this matter. Nonetheless, in good faith we have removed the free NOOK Book listings you identified in your email of October 25, 2012, a copy of which is attached. I reply at once: "That is very good of you. You will understand an author's feelings when he sees others infringing hard earned copyright rights. Case closed. Yours faithfully, David Irving"
AT midday I leave the Billings Garden Hilton. At first the GPS says eleven and a half hours to Bismarck, which I guess is wrong, and then I realize that I have set it to Bismarck NE, Nebraska, not ND. Could happen to anybody. After an hour heading east on I-90 I find that the New York Metroplitan Opera channel has Richard Wagner's Götterdämmerung in a 1998 production. It is magnificent, and I wallow in it for the next two and a half hours, driving through the prairies and painted valleys of eastern Montana and North Dakota, with the volume turned up nearly full blast, as there is nobody around for hundreds of miles. A magnificent Brunnhilde. How can she sustain those notes for so long without her wonderful voice cracking at the edges? I pause briefly at Dickinson for emails, and see the first Black faces for a week. -- I forward the above report to Hugo H-T. in Berlin, under the subject line: "Twiglet of the Gods", which seems appropriate. And to Jessica: "Just stopped for ten minutes at a McDonalds after driving four hours from Montana. Now in North Dakota. Still heading east, getting closer to England each minute!" In Bismarck I go to the restaurant next-door to have dinner, and a stranger texts at 8:20 p.m. from 208 682 0332 in Seattle. "I am a freind can u talk?" [misspelt, sic]. I am about to text back then I remember that this is a trick that "they" can use to get the serial-number of my phone, so I call back without identifying myself. The male who responds then launches into a tirade against the f***ing Antifa Rose City people in Portland who publish names and faces which has cost a friend of his his job, and can we not do something to strike back at them? I say it is a matter for the police, I am not interested, and hang up. He sends another text at 8:26 p.m.. "I don't know if u trust that I am not a commie but I want some of ur literature can u please help me out?" I tell Mrs D., managing my online bookstore in Atlanta: "Drove 450 miles today, so goin' to bed shortly. Single handed is not always fun. Scenery beautiful, snow and ice ... not." Hi Jessica. Daddy here. I'm in Bismarck until tomorrow. . . Tell me everything, please: friends, room, lectures, teachers. It all sounds rather expensive! You ought to get a bike to get around, or is it too far? What is going to happen about your driving lessons and test? At your age, Paloma was picking me up at Heathrow -- in the Rolls! . . I often think about poor Josephine on the long drives! When you were smaller, I had your photo stuck to the dashboard. I have a lovely hour's sleep after breakfast. YouTube is somehow pulling them in now. 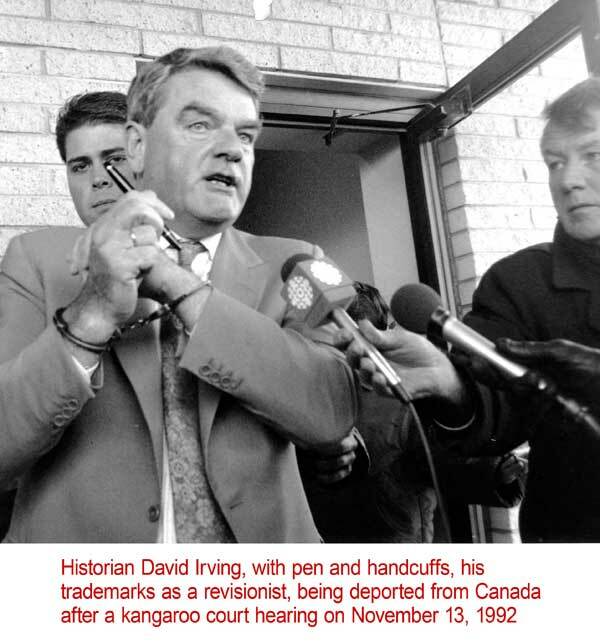 Applicant Joe G., in Glasgow, writes this morning, "I stumbled across David Irving when looking up history of World War 2, and to find out what had happened had happened. On YouTube , their are lots of videos on David and all that I have seen speak in great detail and I find that fascinating. So I've stumbled across this site and noticed that their are events he holds but none are held in the UK so, I was wonder if Mr Irving will ever be doing talks in the UK in the near future." "Dear Joe, I hope to do a quick tour of five or six big UK cities for small meetings of trusted listeners in early January, weather permitting. I will inform you by email when that time comes. Mrs D. wonders why Cahills left behind the books they pre-ordered. I reply at 10:53 a.m: "They were too overawed by being in my presence. So were you once... so was J. -- Lots of snow here, four feet deep. Glad I have four-wheel drive for the parking lots. Highways are cleared, snowploughs (that is the correct spelling) are out." Gerd [H.] sends a circular report on his experiences in a Vienna court yesterday, by video link from Spain where he was released on parole. Fine mess Europe has got itself into thanks to these Jewish- and Stalin-inspired 1945 laws for the suppression of free debate. How different is the atmosphere here in the USA! WITH difficulty I get a meeting location for Minneapolis. It will be in an upscale downtown hotel, the Graves 601 on 1st Avenue. I am absolutely broke. My room is nice but smells perpetually of old people, might have to crack out the ole Glade air-freshener in here. I have a massive exam on Friday for cognitive neuropsychology (study of sensation/perception, linguistics and memory), it's actually so interesting revising for and learning about it, it's SO scientific as well there's lots of physics and biochemistry involved. I'm also doing a module on statistics this term, which is so hard. I don't really understand it or how to use the software. 6:28 p.m I reply: "Statistics is really common sense by another name, rather like Economics. Your message is very encouraging, sounds like some of the subjects are beginning to grip your interest. Hard to learn if they don't. . . I learned statistics for a year at the London School of Economics, 1962. It would probably have got harder as time went on." I am a big fan of your Radicals Diary and it is the main reason I visit your website. Please write it as often as possible as it is very engaging and displays your stunning work ethic. If I had one per cent of your ability to work and focus on objectives. I was, though, surprised by your recent reference to Obama's faked birth certificate. All this conspiracy stuff has been debunked at snipes.com and other sites and is sometimes the product of a partisan view i.e. people who don't like Obama want to find something and so are not objective. Best wishes on completion of your work on Himmler. I reply, "Thanks Andrew. I agree. I keep my head down when others start on conspiracy theories, but I am something of a computer artwork buff and when the Adobe PDF faking was drawn to my attention I was flabbergasted. It seems such an elementary error: and why have they not simply produced the questionable document to neutral objective guys to pronounce upon? "I could do it (produce my birth certificate) and would not spend $6 million concealing it; you could do it; so why can't O'Bama?" David Irving: Heading over to Detroit to speak sometime next week, you're welcome to come if you are now near there. M.: I appreciate the offer and wish you safe travels and a successful tour, but will not be attending. David Irving: You sound very distant. Hope I have not offended somehow. If so a thousand apologies. No, a million. M.: Even if I weren't forbidden to attend your conference, I would have little to gain from attending. David Irving: "Even if I weren't forbidden to attend your conference." -- I won't even ask!!! David Irving: All the best to you and Connie anyway, I have her in my prayers along with quite a long list of others, mostly daughters. M.: All the best to you, as well, sir. I CORRESPOND with Hugo: "Actually there seems to have been a purpose in the * symbol with which Heini [Himmler] and Hedwig both signed, it is the Hagel rune, the letter H in the runic alphabet. So you too should now be using it, Hugo. That'll shake 'em." CHARLES has replied: "I gather that your tour is going well." I reply: "Not financially, but the real benefit is driving through your wonderful countryside. I never cease to be enthralled by the spectacle." 10:18 a.m Hugo H-T. keeps harping on the presence of her parents in Rochester. How does he know that? Odd. I reply: "I slide through Rochester almost unnoticed, with . . . what we call 'a suite function' -- a bright idea of J.'s. Big drive ahead to Fargo. We had sixteen guests last year, this time: one, an old lady I am inviting to dinner. Three hundred mile drive ahead for that. Minneapolis on Friday, and I am fearing trouble. We have a super location." I notify it to Minneapolis guests at 12:17 p.m. and then make the meeting room bookings for Rochester, Madison, and Detroit. I WRITE to Jessica at 4:03 p.m: "How're you doing Jessica? I am driving east again, three hours today, closer and closer to the UK! I am always thinking of you and wondering how you are getting on. No worries for the moment, I hope. I drive on to Minneapolis. Hope I have spotted the mole and sent him to the wrong place okay. It is always a worry until it is over!" At six p.m.I arrive at Fargo after three or four hours on the road, plus a pause to work on Himmler, and my one guest comes fifteen minutes later, after a four-hour drive over from Blackduck. She is a software designer, and we have supper at the hotel restaurant and I drive on to Fergus Falls for the night. A TROUBLED night, heavy sleep and wakeful periods. I work for another hour on Himmler in a McDonalds. Hugo H-T. says: "I look forward to accompanying you on the 'bang' with which you plan to re-enter Germany." I confirm: "Yes, you will be invited." I'm very sorry to have been so rude to you, but while I think that you are a despicable individual, with some sort of Wagnarian complex, I also think that you are the greatest historian of the last 2,000 years, since Herodotus. And even though the new location has required me to take a taxi out to the new location, I'm more than happy to attend. Please do not reverse the charges to the credit card! I tell him: "It has been done, and admission will be denied." UNTIL 3:10 p.m I pause at St Cloud, again at a McDonalds to write and go online. I pull up outside the Graves 601 Hotel in First Avenue, Minneapolis, at four p.m. and am rather disconcerted to see a bunch of twenty young toughs loitering around the forecourt. The bellhop tells me however that they are a baseball team waiting for a bus. I would have been trapped, as I had executed an illegal U-turn to get into the forecourt. The hotel staff provides a baggage cart and wheel it for me to the Meeting Room C on the fifth floor, a very swank, subdued-lights and modern-décor hotel. Perfect. I am set up by five p.m., and keep watch from the windows; I see odd clusters of youths on the street corner, for the next ninety minutes, some holding a paper, and not seemingly doing anything. My guests begin to arrive. . . After half an hour the mob of Unwashed bursts in chanting something about Nazis and the Ku Klux Klan. Not sure if they mentioned homosexuals and lesbians too. Mostly young, mostly male but a sprinkling of very fat, half-caste and other females. More and more come pouring in, blocking the exit and standing at the back of the room, obscuring what one masked young skinny man wearing a bandana round his face is doing -- systematically emptying the tables onto the floor and trampling and kicking everything around. Just as in Berkeley in 1995. I at once phone 911 and tell the police a mob of sixty thugs is committing criminal damage here on the fifth floor of the Graves hotel. I ask my guests afterwards to list their names so I can eliminate them, in the hunt for a mole. 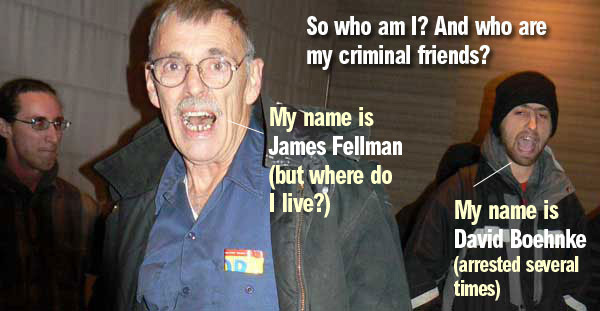 I wonder if part of the main mob also has gone like him to the decoy site in Bloomington. The mob uses no physical violence, they have a plan, which is to enable one (masked) individual to complete the destruction of everything he can. They are all part of the same criminal conspiracy, in consequence. Their ringleader has menacingly come through the rows of chairs with a camera and pointed it at me and scowls. Evidently they have all had a legal briefing beforehand to do no physical harm to anyone, and when I push through them to go to down the front desk they do not seriously try to stop me. My (cheap) fountain pen vanishes in the melee while I go downstairs to call management and they finally call security. At the street-level front desk they have had no idea of the riot on the fifth floor -- it seems the mob had come in singly, and met on the fourth floor. We take a bunch of photos of the mob in action. One of my guests, a pony-tailed half Native-American, has one on the floor and is about to thump him when the ringleader advises him not to. As the mob breaks away, I chase after them and taunt, "Stay here, stay here, the police will want to speak with you!" That sends them scurrying to the escape stairs. "Not the elevators, use the emergency exits," their ringleader yells, and they are gone. I have deliberately travelled up with two or three of their groups in the elevator, suspecting them from their unwashed looks in this de luxe hotel, but they make no sign that they know me. Perhaps they did not. -- R. had brought his expensively purchased Goebbels to be autographed, and they snatched it off his chair and ripped it in half. The police come pouring into the skyscraper building after five minutes, and six or eight uniformed cops came upstairs, but now they tell me -- when I ask -- they have left none downstairs to prevent the mob's escape. The chaos and mess left behind are bad. 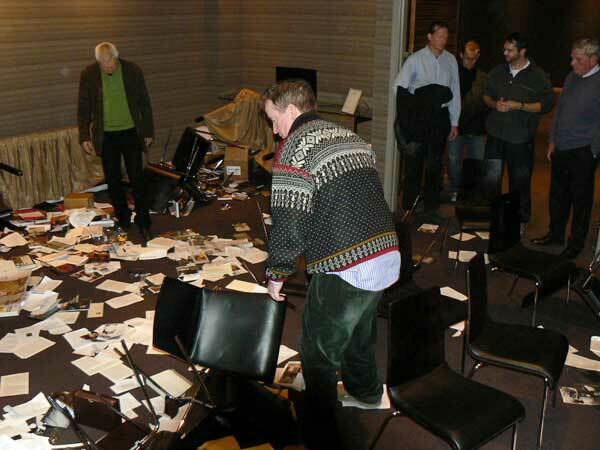 Every table and chair has been overturned, every DVD wrecked, the books disembowelled in the five-minute rampage. Alas, this is the only occasion when I did not take the **** in with me -- perhaps just as well. A pepper-spray might also have come in very handy. The mystery remains: How did they find the location? I booked it only two days ago and sent out notifications around eleven a.m. yesterday Thursday morning. Was it a mole, or have they *** *** *** perhaps? Tomorrow will tell. Todd U. phones asking for tomorrow's Rochester location. I tell him to phone again tomorrow. Tomorrow I will take the **** into the location with me. I drive off at ten-fifteen p.m. and check into a motel. It could have been worse. I PUT this note on the front page: "Update: Our Minneapolis function in the luxury Graves 601 Hotel went smoothly, once the local Police had cleared out about sixty unwashed and unwanted visitors who had omitted to register formally." NOT worth fixing this problem for the next week, but on the next tour I shall, and I shall ambush them with hired bodyguards given a free hand to defend themselves. Mrs. D suggests: "Maybe you should get a taser as well as ****?" Women are so bloodthirsty. I reply: "I am apprehensive as always before a meeting, like yesterday evening's (rightly so, as it turned out). But the Tinley Park Five case (Chicago in May) has taught them all a lesson: use violence, and you go to jail for a long time." I reply to Hugo's inquiry: "I am in Rochester. . . Since yesterday's riot the truck is suddenly very empty. The Club is leaning up inside this suite's door. I wonder how The Paunchy One (he used to be The Wealthy One) would have stood up to this perpetual stress, let alone single-handedly driving ten thousand miles so far." From six p.m. the guests trickle in, including some I had forgotten to list. The room is packed. Extra chairs!, and they stay until after ten p.m. One of them makes the now familiar comment that the change in my physique since we last met eighteen months ago is remarkable. Yup, the surgery which J. nagged me to go in for has changed my life around, for the better. That and the weight-loss. I feel much better. The eternal pain has gone. British taxpayer money, and well spent. I respond: "I agree, but looks alone aren't the clincher." Have you considered asking for police protection from cities that you're visiting? They may prevent such interruptions such as Minneapolis. I reply: "That is not realistic, unfortunately. Our experience has always been that the first thing the police do, to minimise their own inconvenience, is to notify the management of the hotel or other venue, warning them of likely Leftwing damage to their property if they do not cancel the function." Mrs D., managing my bookstore has written: I really wish you and your guests had ****. They wouldn't have had ANY excuse for intruding on your PRIVATE MEETING ROOM. I tell her: "Arming yourself cuts both ways, unfortunately." Midday I send out the Madison meeting location to my guests for tomorrow. We have just received a request from the IP address 67.6.86.47 [seemingly a server near Kansas] to reset your password. . . . If you didn't request this email, you need take no action. I reply: "Please ignore such reset requests at present. This appears to be an attempt maliciously to destroy my website again. If you can provide me with further information about these attackers, please do." I guess our publication of their mugshots has panicked somebody somewhere. It brings back ugly memories of November 2009. JESSICA writes: "Have just finished my lab report due in for tomorrow morning -- took me TWELVE hours of solid library time. Exhausted. I don't even have the catharsis of finishing it as I have a huge essay due in for Friday. I've never had so much work in my life and I miss being spoon-fed stuff!! Every essay requires the reading of TEN sources which normally means books books books. I miss reading fiction." She adds: "Hope you're well. Avoid more violence!" I reply: "I am very proud of the way you're getting stuck into things there. Lab work! Sounds much better." IT SEEMS that the gentleman who secretly asked the Luneburg public prosecutor to proceed against me for my two-day research trip into Germany is a suitably tieless historian, of the Zentrum für Zeithistorische Forschung Potsdam e.V., Zeitgeschichte-online, Editorial Staff. Hmmm. The Informant, the weaselly Denunziant, used to be the cornerstone of Gestapo and Stasi activities. This gent is unlikely to deny it. It is strongly reminiscent of what Prof. Hellmuth Auerbach of the Judenreferat in the Institut für Zeitgeschichte did on September 4, 1990, protesting secretly to the Munich police when I was appointed an expert witness on behalf of Lieut-Commander Ortwin Pohl and trying to ensure I was arrested if I appeared in court. The Munich judge wrote me privately advising against my appearance in person. Plus ça change, plus ça reste la même chose. TONIGHT'S Madison, Wisconsin function goes well. The meeting room is good. At six p.m. the first guests arrive and I have a quiet and uneventful meeting until ten p.m., then supper next door with Carlos L., who has driven up from Chicago to hear me; he was previously director of Cook County Jail (i.e., Chicago). This hotel is familiar: Friendly, helpful and understanding staff. I now recall it is the very one I met Jae in for the second time, after driving here overnight on September 3-4, 2008 from Denver, Colorado, where I had ben speaking to university students until four p.m. Good girl. She had arranged at short notice a meeting in Madison at my request. The overnight drive was over 1,100 miles in one stretch, from dusk to dawn, but she was worth it and she worked for me for over three years in consequence. After supper with Carlos -- he tells me that his policy at Cook County jail was to separate White prisoners from the Black at the earliest opportunity and send them elsewhere -- I drive off at 11:45 p.m. and stop at Edgerton at a Comfort Inn. Pricey and nasty, but I am tired. I ORDER more Keitel and Hess from the printers. I ask Mrs D. at 12:12 p.m.: "What other titles are running low in your opinion? I will bring down from Indianapolis Hitler's War, Dresden, Nuremberg and perhaps some Classic series books if there is any residue there. I now have a lot of space in the truck thanks to the riot." I drive to Hoffmann Estates, my usual stopping place near Chicago. Dinner with good friends. The waitresses as obnoxious as ever, interrupting ruthlessly with inane questions, and looking hurt when I ask them not to. Back at the hotel at ten p.m.. Bookings for Detroit tomorrow have continued until the last minute. Rather disconcerting. After dinner I find another booking, for four more attendees at Detroit. It's getting crowded. UP at eight a.m., and there is heavy fog outside. I set out eastwards soon after. 1:22 p.m I pause en route to book a St Louis meeting-room (unexpectedly difficult as our regular meeting hotel the Travelodge has closed down). G. has texted from Peru, she is not well. "Estoy embarazada de Nuevo." Jeez, I am glad I did not have her helping on this tour then. I reply without thinking: "¡Que tontería!" -- "Ah? We are happy, thanks." I tell her at 1:09 p.m: "I am on the road to Detroit so can't email. Tomorrow perhaps." I repeat this later: "Congratulations anyway, but wow, what if you had been on the tour with me . . . a disaster. That's why I said, que tontería. Mujeres: un desastre." I inform Charles: "I guess I will be in Indy tomorrow around midday and call on you for a few minutes to get the key. . . Then I drive on to St Louis." Five p.m. at my Detroit speaking location, after a much-delayed drive with heavy traffic and a detour from I-94 because of an accident ahead. I unload the truck, and take extra precautions because of the likelihood of trouble. The **** goes into the meeting room with me. Hotel staff (all Indians) profess to have had no knowledge that I am coming, but set up rapidly. I hang around outside with The **** concealed behind me for an hour watching for signs of trouble -- cars cruise around the lot and leave without stopping, strangers walk in and out, then my first guests arrive. A very good crowd comes, including many Canadians. If only the overheads weren't so high. A horrible "Michigan Salad" afterwards next door with two of the men, of which I leave ninety percent, then I am on the road at eleven p.m. and check into an hotel at Ann Arbor at midnight, and am in bed around one a.m.
Up at 7:50 a.m., and back on the road at nine-thirty. My back is painful again, and will not be helped by today's hard work loading the truck in Indianapolis. We have identified three more of the Minneapolis rioters. Now the horse-trading can begin. Who will betray the others? I leave at ten a.m. and reach Charles's house in Carmel, Indianapolis at 2:03 p.m, exactly as predicted by the GPS. He has the storage unit keys and gate-code ready, and invites me to a ham sandwich, but I have too little time. I drive through the city to the storage unit and spend an hour loading a ton of boxes and sorting others, then drive off west toward St Louis on Interstate 70 around five p.m.. Every McDonalds and other fast food joint is closed for today's holiday, so I can't go online. Brief stop for a snack at a restaurant. Waitress hands me the bill, just six dollars, and asks do I want any change from the ten-dollar bill I have placed on the counter? "Have a wild guess," I say, and leave her nothing in consequence. I report today's sequence to Hugo H-T. and add: "Now dead tired and about to flop into bed. I doubt that the Paunchy One could do even a tenth of this." IDENTIFICATIONS of the people in the Minneapolis riot photos are now pouring in, and I have paid the first two-hundred dollar rewards. TODAY I briefly gain an hour heading west. Winkelried Verlag is still printing Milch, it seems. No honour among thieves. Dear Jessica, Very relieved to hear from Hugo H-T. you are excited about the work you are doing. That is good news. I guess you were also a bit homesick to start with. Tonight and tomorrow are the last meetings of this series. Memphis Tennessee tomorrow, Elvis-Presley land. I am paying rewards to people who identify the photos of the rioters in Minneapolis! Tours ends this weekend, and I unload the truck. I drive all day to St Louis, four hours away, with a lengthy pause at a McDonalds to write three more pages of Himmler (still Kristallnacht aftermath, from my Vienna-prison drafting). The meeting room we have hired turns out to be in a hotel I have never seen before; I have no idea where its address came from. But the room is cheap and well appointed, just right, and it is nearly filled in the evening. Many old friends, and several ask where is J. -- Grrr! The **** comes in with me, but is not needed. The Talk is now at its very best. On the road at 10:15 p.m.; I fill up and drive off toward Memphis. Bitterly cold, around twenty degrees F. I check into an awful motel, the Triangle Inn, just eight rooms, at Ste Genevieve at midnight; the room costs forty bucks all included. Unable to go online, as the WiFi which the motel proclaims outside is non existent. TONIGHT I have a suite in Memphis, which will be a fine reward for an arduous two months. Five p.m. to Mrs D., very capably managing my bookstore: "Just noticed on my GPS that Atlanta is a long way. Why? Why not closer? It is a six and a half hour drive from here tomorrow. So: I'll arrive early evening, I guess. I fly to Miami Tuesday morning." K. arrives an hour too early from the East Coast, not realising that we are in the Central Time zone, and is intercepted by police as he hangs around the lobby; the hotel have sent for them, as he seems suspicious to them -- in fact he is plain exhausted after a sixteen-hour drive over from Pennsylvania. Poor lad, he phones me to apologise that the police have issued him a trespass order, threatening arrest if he returns to the hotel. So I lose one audience member. A., a formidable gentleman with a black beard and grey hair, discusses using pepper-spray. I can just imagine the headlines if I used that on a mob of Jewish thugs invading a meeting room, like in Minneapolis last Friday: DAVID IRVING USES GAS AGAINST INNOCENT JEWISH BYSTANDERS. LATER I tell Jessica: "Tried phoning you two or three times today as I drove across Missouri and Arkansas, but could not get it to ring. I am in Memphis, Tennessee. I will try again tomorrow Sunday. Tour now finished. . . I drive back to Atlanta tomorrow, nearly a seven-hour drive (i.e., all day). Hoping to hear lots from you about how you're getting on, and all those handsome White princes etc. Very glad you like the lab work." TODAY the circuit is complete. Very chilly outside. A seven-hour drive today, I think. I wait until nine-thirty a.m. for A. to arrive, but he does not, so I finally set out at ten-thirty a.m. On the road: Derelict houses; quantities of roadkill; shiny new grain elevators and silos. Rolling yellow prairies, shallow hills, the whole ride undulating between about 400 and 900 feet above sea level. Markedly warmer here as we get closer to the Gulf. I have no idea why the GPS is taking me along US-24 the whole route, with consequent stop-lights, speed limits, and crossroads. A Saturn three-stage space rocket towers ahead as I drive unexpectedly through Huntsville, the gigantic rocket surrounded in true American spoil-whatever-they-can manner by cheap poster billboards for this and that; and a green highway sign proclaiming Wernher von Braun Center -- which reminds me of my dealings with him in 1964 for The Mare's Nest and the letter from his secretary Dorette Schlidt in Huntsville, sending me her 1943 Peenemünde diary for the book, and my visit to the Von Braun Center in 1986 with Susanna Scott-Gall. Our RAF Bomber Command killed 750 in the horribly costly August 1943 raid on Hitler's Peenemünde missile establishment, the centrepiece of the book -- I interviewed Wing Commander Searby, DSO, the RAF raid's Master Bomber; the dead were mostly foreign workers, Belgians, as the aiming point had drifted northwards by two or three miles through a sighting error by his Pathfinder Force in laying down the initial TIs (the target indicator flares). 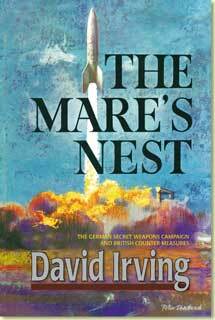 I am sure the foreigners died heroically as they fried, singing psalms and praises to Bomber Command for delivering them from their labours and ensuring the defeat of That Man, if also inadvertently delaying the first landing of man on the Moon by four decades or so -- von Braun's true, if altruistic, intent. I PAUSE at Huntsville, to go online and get emails. I am stopped by a traffic cop soon after, which is ironic -- the first time after driving these 12,000 miles. First traffic stop in fact since leaving Cadiz, Spain, with Jae in the Pigmobile. The (exaggerated) English drawl and UK licence soon have this cop saluting and returning to easier prey. The traffic builds up all day long and slows to a nose-to-tail crawl for twenty miles before Chattanooga; I read the licence tags, they are from Georgia and Florida and Tennessee and Alabama, so it is returning Thanksgiving Holiday traffic. For a while I toy with dropping into a motel in Chattanooga for the night, but I plough on, and today's long haul to Atlanta finally takes nine hours instead of seven. Around four p.m. I begin predicting to Mrs D. what time I will arrive, "8:20p.m. ", and it is 8:19 when I pull up to their yard. Her most agreeable husband Mark is away for an hour or two still. She frowns at the moth-holes in my cheap blue cashmere pullover, and darns them during the evening. That is exactly the kind of data I needed to help me rebuild the tour. No doubt at all, she was good, and if you write to her please tell her I said so. Nothing will change my good opinion of her in that respect. I unload the truck into the storage unit here. Within two minutes of sitting in the truck, Mrs D. is fiddling with the heating controls which have remained set for the last twelve thousand miles. My deceased father was in the R.A.F. and a Spitfire pilot in Malta in 1942 as part of Operation Pedestal. He enjoyed your books immensely as do I. I own most of your books currently available in English. I find it extraordinary that once upon a time praise was heaped upon you by historians and reviewers of the highest repute, but nowadays there seems to be a fear of saying anything good about your work at all because (for reasons which are entirely unclear to me) you have been deemed a "Holocaust denier". I don't believe you have ever "denied" the Holocaust but as any reputable historian should, have quite properly questioned aspects of the received wisdom relating to it. It seems to me that history is not the real truth but what sufficiently powerful interests have determined shall be accepted as the truth and anyone threatening their view is to be brought down by any means possible. I must say that I was infuriated when Prime Minister John Howard (who in most respects I very much admired) refused you entry to Australia. THUS the two month tour comes to an end. I have shaken the hands of many true friends. I drive to Atlanta airport and return the trusty truck; the milometer reading is 17,826. Under six thousand when I began. We land in Miami at two p.m., and I rent a Ford Focus, very small. I drive four hours down the Turnpike and the Keys, arriving on Stock Island just as Albert phones me, and we meet for supper at the Rusty Anchor. I have just their fish-dip, not very hungry. Martin Allerman writes from Denmark: He says he has watched many of my presentations online. "Just finished reading Hitler's War. Addictive reading. For the final chapter, especially, I found it hard to put the book down. Thank you Mr. Irving, for your priceless work. Will there be a Himmler book? " I reply: "Yes Martin, I have been working on it, with what one might call interruptions, for fifteen years. And I am now on the home stretch."